The Avalon slot game offer players an exciting 5 reel and 20 pay lines. This slot game has a theme of King Arthur and the Lady of the lake. In medieval times, Avalon was the name of a mystical island. According to legend, Avalon was the place where King Arthur’s sword, Excalibur, was forged and then given to him by the Lady of the Lake. King Arthur returned to Avalon, accompanied by the Lady of the Lake, to recover from his battle wounds. The game, an homage to King Arthur and his Lady, was launched in 2006 by Microgaming. It is a 5-reel online slot game with 20 paylines. As soon as you log on, mystical music and colorful regal imagery will transport you way back in time to the Middle Ages and the dazzling world of King Arthur’s Court. The symbols of the game include the Avalon, the Lady of the Lake, and a treasure chest, along with some obvious other memorabilia from that long bygone era such as crowns, coats of arms, brooches, and goblets. Some high playing cards are thrown into the mix as well. The game is full of color and life. The name “Avalon” quickly ties this fruit machine to Arthurian legend. Avalon is associated with the Welsh word for “apple”, which is why it’s sometimes called The Isle of Apples. Avalon is associated with the mysterious sorceress, Morgan le Fay, and it’s also where King Arthur Pendragon’s famous sword, Excalibur, was forged. The Isle of Apples is also where King Arthur was taken after receiving fatal wounds in the Battle of Camlann. According to Arthurian legend, Arthur remains there until the day Britain needs him most, where he will return to save the day. So the Avalon Slots game is steeped in the tales of Camelot, Arthur, and his Knights of the Round Table. That’s why reel symbols include the Holy Grail and the Lady of the Lake, each of which prove important in this game. Players can bet between 1 and 10 coins per payline on Avalon Slots. Coin denominations range between $0.01 and $0.50. This means your top wager on Avalon Slots is $100.00, once you take the paylines into account. Since Avalon Slots is a 5 reel, 20 payline game, you’ll have a tremendous betting range. Avalon Slots offers fun for penny slot players all the way to the high rollers. Only the high rollers who think $100 per spin is chump change are going to find Avalon Slots boring. The Avalon logo is the game’s wild symbol. As such, it can substitute for any other symbol except the scatter symbol, thereby turning losing spins into winning spins. You can play Avalon for free as well as for real money. You can play with either 1 cent coins or 50 cent coins over a wide betting range-up to 10 coins per line. The minimum bet per spin is 1 cent. The maximum bet per spin is ten, 50 cent coins on each of the 20 lines, for a total of $100. The opportunity for many small wins lowers the volatility. In case you want even more action, Avalon can provide it. 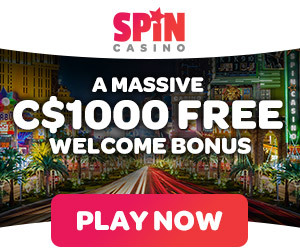 Immediately after any win in the regular game or when the free spins are over, you can click on the optional “Gamble Bonus” game. You receive a playing card face down and you can either guess whether the card is red or black or what suit it is. If you guess wrong, you lose whatever you just won. If you guess the color correctly, your winnings get doubled. If you guess the suit correctly, your winnings get quadrupled!